100% TRUE , FUCKERS DONT RESPOND FOR SERVICE AT ALL - PEOPLE DONT MAKE THE SAME MISTAKE. the serial no CB33903000 ,SERVICE ORDER NO # 7006959681 IS PENDING FROM TWO MONTHS.AND MY LAPTOP IS NON-WORKING DUE TO LENONO SERVICE REPRESENTATIVE.I M TRYING MANY TIME TO CONTACT THEM BUT TILL DATE THERE IS NO SERVICE PROVIDE ME AND MY LAPTOP IS UNDER 1 YR COMPLETE WARRANTY. CHEERZ BUDDY , MINE TOO.. THEY WONT RESPOND , PROBLEM WONT GET RESOLVED .. COMPLETELY USELESS PEOPLE AT CUSTOMER CARE , PING ME , ILL SHOW YOU THEIR MAILS ,, EVEN LOCAL TECHNICIANS WILL WORK BETTER , BETTER ORGANISED THAN THESE USELESS CLOWNS. all lenovo people irresponsible and all lenovo product duplicate don"t buy any lenovo product. k3 note all so very bad response and in future don"t buy if any other buy lenovo my suggestion don't buy it. PLEASE DONT SELL PRODUCTS IF YOU ARE NOT ABLE TO PROVIDE SERVICE. fOR NO FAULT OF MINE , THE LAPTOP Y50-70 STOPPED WORKING , USELESS CUSTOMER SERVICE OF YOURS ARE HOLDING THE LAPTOP FOR THE PAST ONE MONTH AND STILL SAYING PARTS NOT RECEIVED. I have bought a Lenovo 6000plus from your website following are the order details OD204177988668917000 invoice no. chn_ puzhal_0120151000343001 daed 21-10-2015. I have been encountering multiple issues with the set from the past several days. 1.The set gets quite hot without any reason. 2.Then started the bigger problem of the battery being unable to retain the charge. After charging it for a long time it says battery fully charged but only after using the set for few minutes it shows no battery and does not start. 3.Further the Mobile closes frequently and to start the mobile again I have to open the battery and re-insert the battery into the mobile. The above laptop warranty period is expiry or how may years warranty period. I Purchased Lenovo Laptop G-50 70 from Aryan Computers, Waidhan, Singrauli, MP on dated 19th April 2015. Now DVD r/w does not read any CD or DVD. I am satisfied Your information. You are given very nice and suitable information. 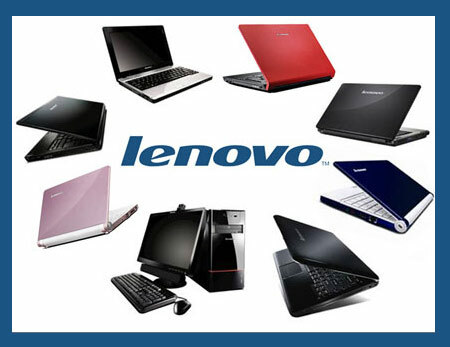 And if you are searching the Lenovo laptop service center in India. So, We provide more information about the Lenovo service center. By clicking on the given link, You can view more information for the Lenovo service center. my friend bought a laptop ideapad s300 Functional keys are not working properly and there is worst response from the lenevo support. i have given my phone for repair on 02/07/2016 but till now i have not received any phone nor sms and their phone is not reachable and i could not able to go to their office as i m on tour, so you are requested to give me updated regarding my phone status. as soon as possible as my office work is suffering. i have writen many email but no reply . NewLenovo Laptop with windows10 OS. problem is, charging upto 60% and then shows "plugged in not charging"
what are the necessary steps to solve this? Lenovo body is of very bed quality. corners had been damaged while opening. it is worst and unhappy experiencefor with the purchasing lenovo. nenovo body must be good quality.